Five Finger Frank’s Foto Album! Rather excitingly there was mention of a photo album and this month Pete went down to Essex to see it and then took it along to Cecil Sharp House to scan the images contained within. 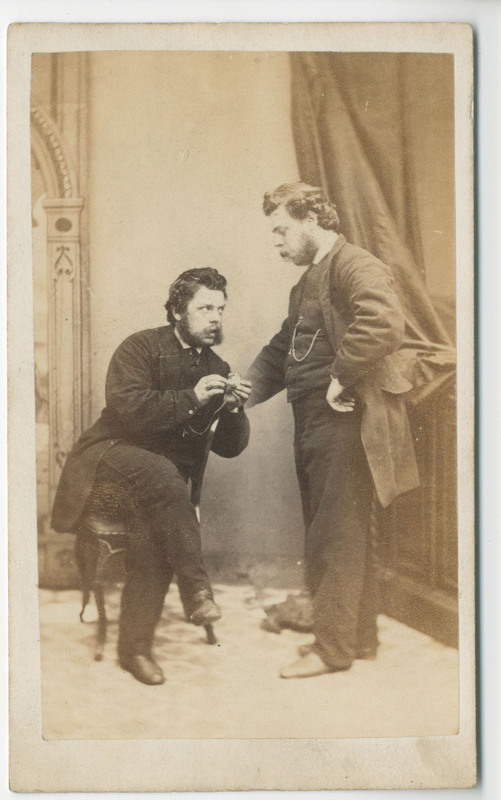 Even more exciting is thatt, after a little bit of detective work by Pete, it seems this photograph album came from an auction sale of what may well have been Frank Kidson’s possessions… We think that it is, in fact, his own personal photograph album! We’re still confirming a few of the faces but here’s a little preview of some of the photos. Many thanks to Brenda Roberts for the loan of her precious family heirloom and also to Cecil Sharp House and The EFDSS for their assistance and the loan of their facilities. 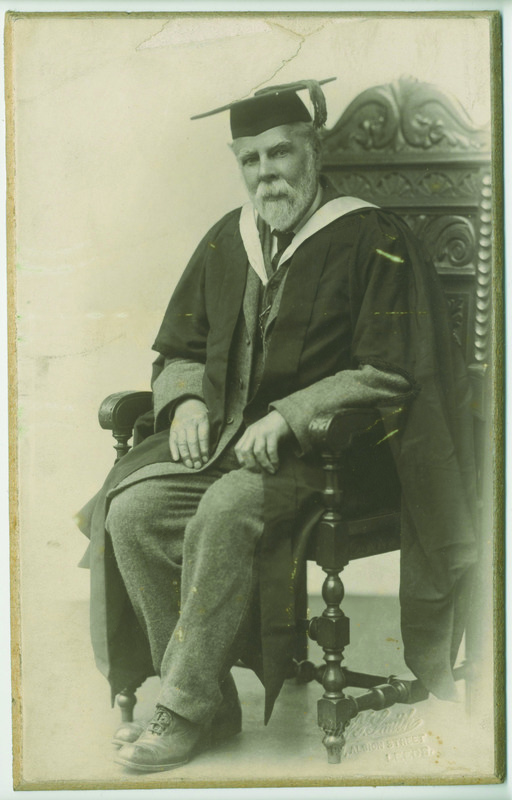 Frank Kidson pictured in 1923 when he received his honorary MA in Music from Leeds University. 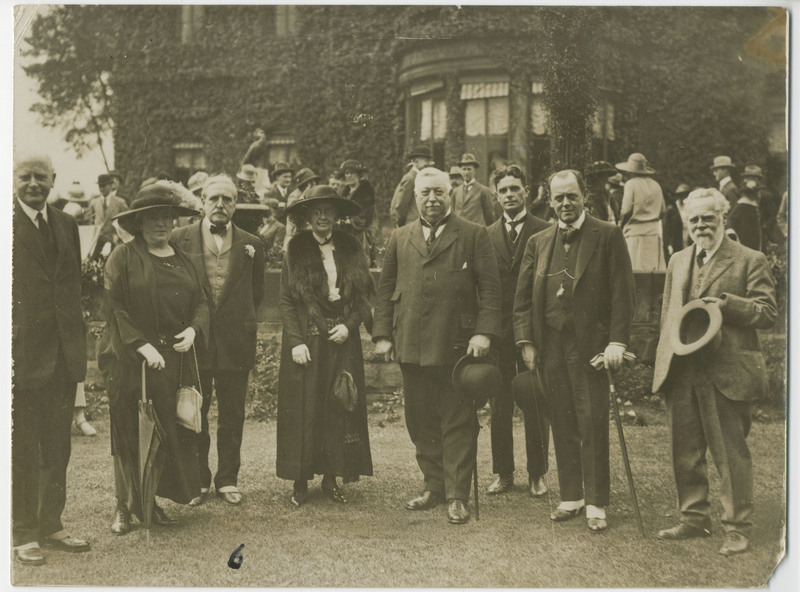 From left to right: Sir Michael Sadler (Vice Chancellor of Leeds University), Lady Wilson, Sir Edward Brotherton, Lady Sadler, Sir Charles Wilson, Mr A.E. Wheeler, Mr E.G. 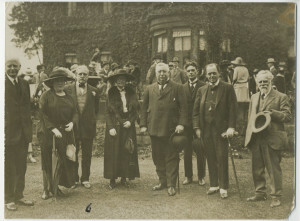 Arnold (Pro-Chancellor of Leeds University) and Frank Kidson. 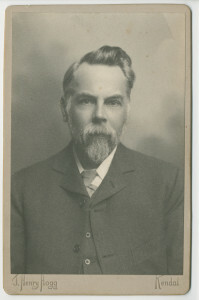 Photograph from Leeds Newspaper Cuttings, Leeds People, Vol.10, p173. If you are related to Frank Kidson or any of his contributors please do get in touch at the same address. On the 16th January 2015 we performed to a full house at the Ilkley Manor House. We had a fabulous night in what is a truly amazing venue. 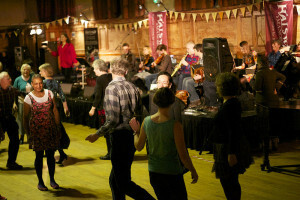 We were told that the museum is currently at risk of being sold by the council so take a look at the website and help Ilkley keep this amazing historical building open to the public and available for other artists to display their art and music within it’s beautiful walls! 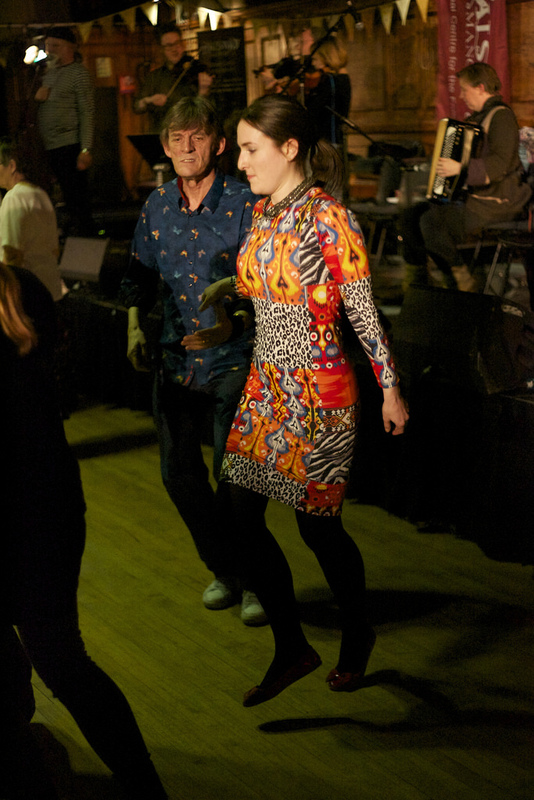 We also performed at the Halsway Manor 50th Anniversary Event on the 7th February 2015 at Cecil Sharp House. Thanks to Paul James, Gavin Davenport, the staff of Halsway Manor and everyone that supported the event and came to our performance of “The Search for Five Finger Frank”. 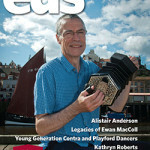 Check out the current edition of English Dance and Song Magazine. We’d love it if you could come along and join us for a sing! Kate Thompson was born Catherine Benson in Tockwith, a village approximately 10 miles away from Knaresborough situated in the Borough of Harrogate, North Yorkshire. Her parents were John Benson, a plumber by trade, and Mary Ann Jefferson. They already had a son, Joseph, from a previous relationship when they married in 1846 and in 1848 Catherine was born, followed shortly by her sister Ann who was born in 1849. Sadly in about 1849, John Benson died and Kate’s mother went on to marry a widower, William Robinson, in 1850. 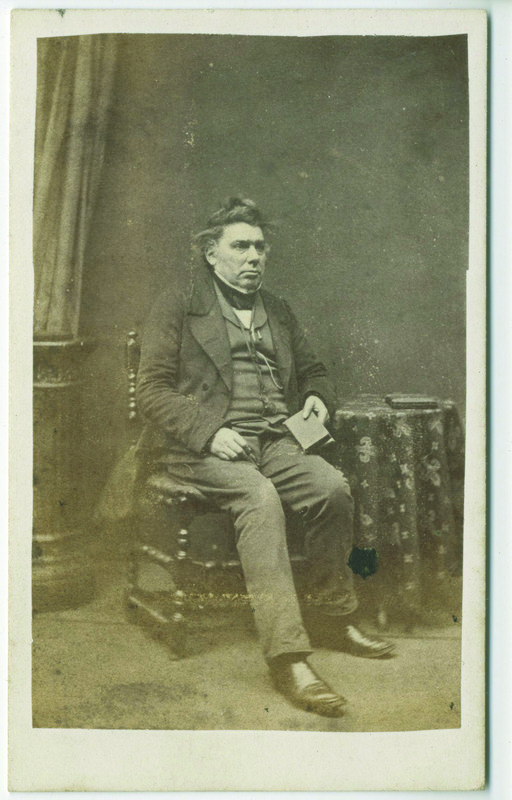 Robinson was an agricultural labourer born in Wreaks in about 1825 and he too had a son, James Robinson born in 1842, from his previous marriage. Kate’s mother and William went on to have four children together: William born 1851, Matthew born 1855, Mark born 1858 and Mary born 1860. 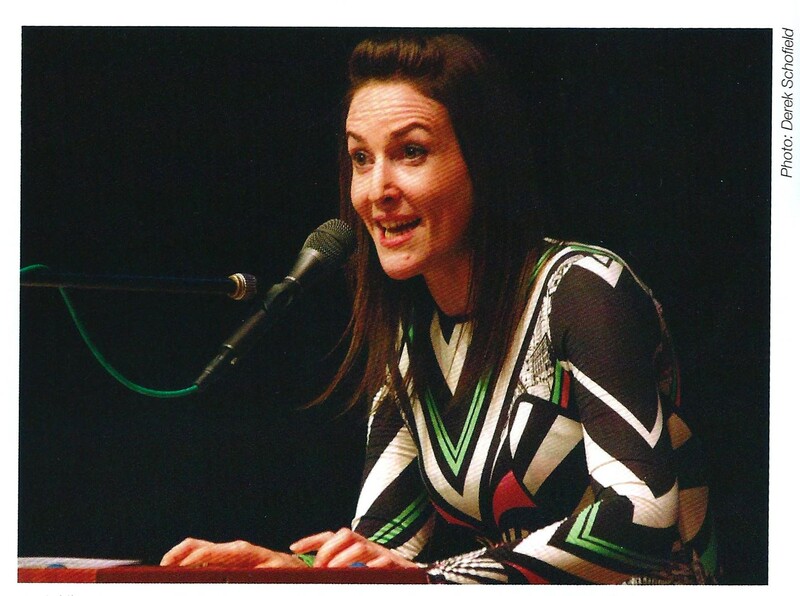 All in all, Kate Thompson was brought up by her mother and stepfather along with seven “siblings”, the children of five different combinations of parents! In the 1851 census Catherine Benson is three years old and living with her family in Fisher Garden, Knaresborough. 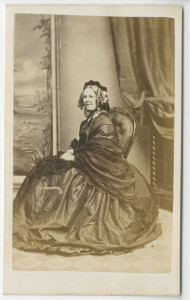 She was still living in Knaresborough by the next census of 1861 though she is described as a general servant residing, still with her family, in Brewerton Street. 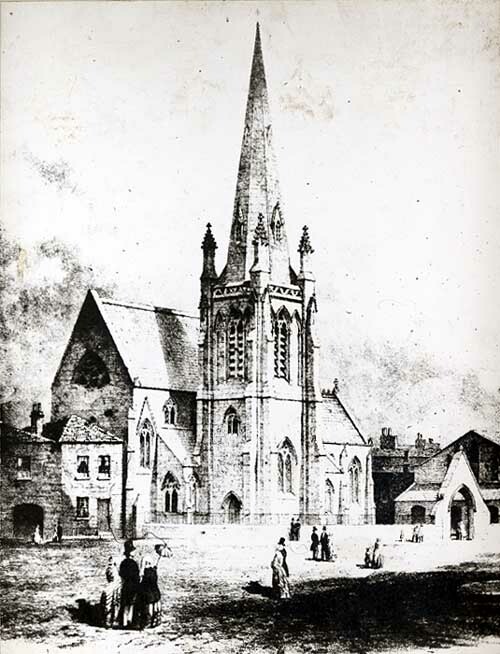 On the 29th July 1866 at St. Phillips Church in Leeds, records show that a nineteen year old Catherine Benson married Squire Thompson, a twenty-eight year old widower with four children. He is described as a publican son of Samuel Thompson and they both give their residence as Wellington Street, Leeds, where there were several public houses at the time. Shortly after the marriage however, in 1867, Squire Thompson was declared bankrupt. 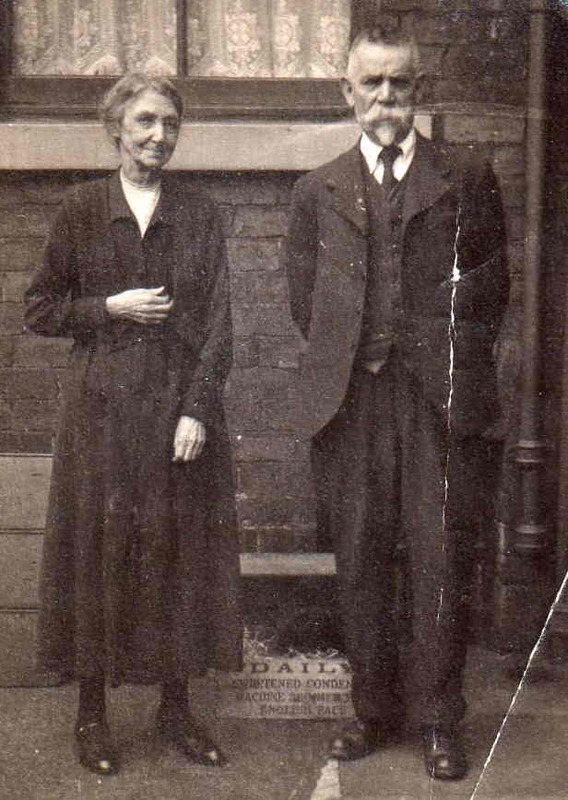 The next census of 1871 shows Kate Thompson living at 22 Alfred Place, Leeds along with her husband now described as a “cabinet maker”, four step children: Mary, Frederick Henry, Florence and Samuel Victor and her own two children: Squire Albert born about 1868 and Walter Albert born in 1870. Later that same year, on the 31st December, Squire Albert and Walter Albert were baptised at St. Matthew’s Church, Little London, Leeds. These church records show the family now living at 49 Reuben Street and Squire Thompson’s trade is listed as “publican” (N.B. This address may be the “London Tavern”). In 1881 however, records show that the family’s circumstances had changed quite considerably. Squire Thompson is listed as living with his children: Florence, Samuel Victor, Squire Albert and a six month old daughter Clarabel; his occupation is given as a “waiter in dram shop”. Kate Thompson’s census entry shows her working as a “housemaid (domestic servant)” at a Boy’s Refuge in Brunswick Terrace, Leeds. By 1891 Kate and her husband were now recorded as living together without any dependants in three rooms at 10 Haigh Place in Leeds and Squire’s trade is now listed as “Forge man”. Sadly, in the second quarter of 1898 a death is registered in Leeds for Squire Thompson and by the 1901 census Kate is shown residing with her son Squire Albert and his family at Manor House Farm Cottage in High Ackworth. It was in 1891 that Kate Thompson became acquainted with Frank Kidson and he collected a number of songs from her. In total he noted twenty-six songs or fragments of songs attributed to “Kate Thompson of Knaresborough”. It is interesting to note that Kidson chooses to refer to Kate as “Mrs Thompson of Knaresborough” as, by this time, we know that she had been residing in Leeds for over twenty years! Kidson had indeed visited Knaresborough on painting excursions but it is not clear if this was the initial source of contact for the pair and it is unlikely that he actually collected the songs from her in that location. Many of the songs she recalled were certainly first heard and learnt in her native Knaresborough so it remains a debatable issue as to whether Kidson was justified in consistently identifying her as “of Knaresborough”. Roy Palmer, in his article “Kidson’s Collecting” from the Folk Song Journal Vol.5 No.2, asserts that Kate Thompson was “by far the most important singer both in quantity and quality”. 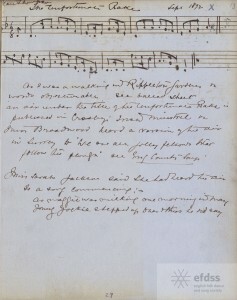 Frank Kidson collected from her over a period of six years, 1891-1897, and was set to include many of these songs in his planned, but ultimately incomplete, second edition of Traditional Tunes. A number of her contributions were also featured in Frank Kidson’s articles in the Folk Song Society Journals published in 1904 (Vol.1 No.5) and 1906 (Vol.2 No.9). Kate Thompson’s death was registered in Leeds during the first quarter of 1911. 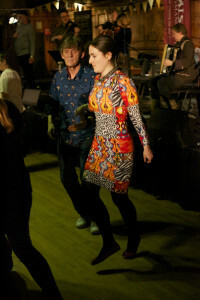 During our project we have chosen to feature a number of Kate Thompson’s songs. She appears to have been a very rich source of interesting songs and a true bearer of the oral tradition. 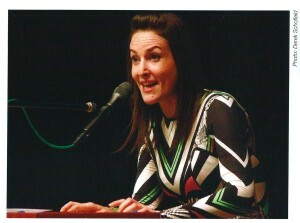 Kidson himself comments that “she also remembers many of my published airs” implying that Kate Thompson possessed quite an extensive repertoire. We know that Kidson actually chose to omit some of her offerings as the words or tunes (or at least a closely similar set) were deemed to be already represented and readily available elsewhere. In the case of one song “The Roving Heckler Lad” her fragment was ignored because of its similarity with a text published in Traditional Tunes. In another instance the song “The Unfortunate Rake” was rejected by Kidson who dismissed the words as “objectionable” probably on account of its suggestive connotations! Frank Kidson’s manuscript of The Unfortunate Rake collected from Kate Thompson of Knaresborough in September 1892. In total there are five of her songs on our album “The Search for Five Finger Frank”: The Highwayman Outwitted, Young Riley the Fisherman, The Deserter, One Moonlit Night and Young Banker (also collected from Charles Lolley). The song as printed in “Traditional Tunes” consists of six verses although many broadside versions of the lyrics often only featured the first, second, fourth and fifth stanzas. It is unclear as to whether Mary Kidson included all six of these verses in her version of the song as this is not stated in “Traditional Tunes”. However, Frank Kidson does make reference to the words printed in J.H. Dixon’s 1857 publication; “Songs of the Peasantry of England” Again, all six verses of the ballad are printed in the Dixon book, but with the addition of the following information; “we have met with a copy printed at Devonport. The readings are in general not so good; but in one or two instances they are apparently more ancient, and are, consequently, here adopted. The Devonport copy contains two verses, not preserved in our traditional version. These we have incorporated in our present text, in which they form the third and last stanzas.” I think it very possible that Kidson used the lyrics printed in “Songs of the Peasantry of England” to augment the narrative of the version sung by his mother. Subject wearing a white cockade pinned to his hat. In light of this information, and of the reference to “Hollanders” within the song, it would seem to lend some credibility to the suggestion that this song was established much earlier than 1820. 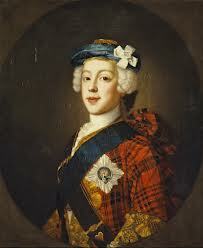 They advanced me some money, ten guineas and a crown. My very heart is breaking, all for the love of him. I wish that the Hollanders may sink him in the sea. Since he’s been the only cause of my sorrow, grief and woe. To remind me of my ploughboy until the day I die. “Notes On Old Tunes” was a series of articles written in 1886-7 by Frank Kidson for the Leeds Mercury Newspaper. He was known to many as “the musical Sherlock Holmes” for his forensic investigation into the origins of folk songs. Aided by his vast collection of books, broadsides and manuscripts Kidson was able to trace a song’s passage through time and uncover the oldest, and what he regarded to be the truest version of an air. 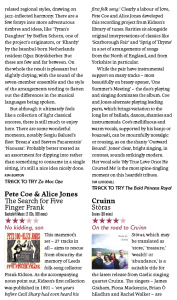 This series of blog posts “New Notes On Old Tunes” focuses primarily on the songs, taken from the Frank Kidson collection, that feature in “The Search For Five Finger Frank” CD and show by Pete Coe and Alice Jones. 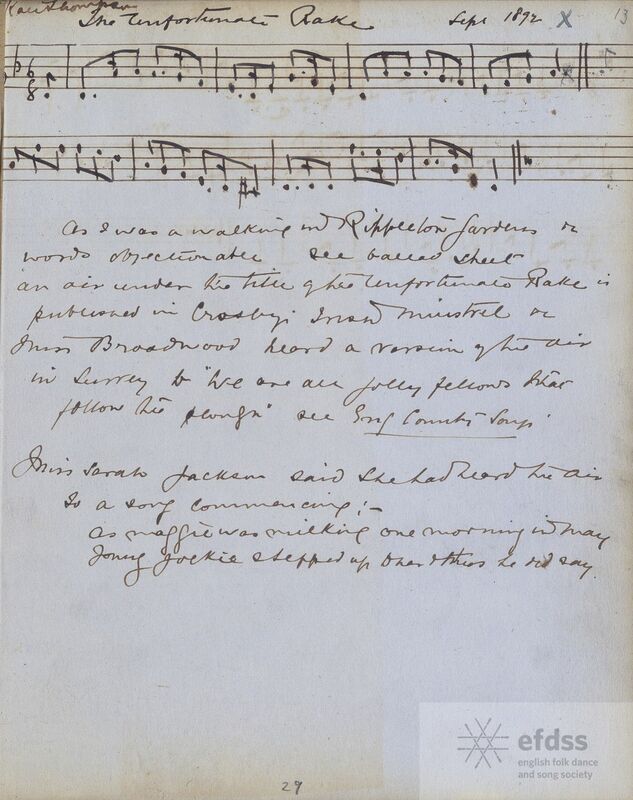 It is perhaps fitting that the first song featured in this series of blog posts should be “The Sprig of Thyme” as this song was obtained from Mr Charles Lolley, a key contributor and collaborator of Frank Kidson’s. Lolley first made contact with Kidson in response to the ”Notes On Old Tunes” articles. They corresponded extensively on the matter of folk songs and the collecting of them and they soon developed a firm and longstanding friendship. Indeed, Lolley submitted a large number of songs and tunes to Kidson’s vast collection. This version of “The Sprig of Thyme” came from Mr Charles Lolley and seems to be a variant of the song hailing from the East Riding. This is, indeed, where Lolley was born and raised; in Hemingbrough and later Howden, but he also acquired many songs from his mother (who was apparently born in Brompton, London) and he also later moved to live and work in the north-east of Leeds. 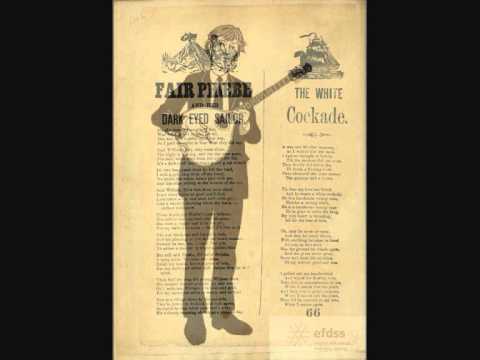 In light of this information and the scant detail given by Frank Kidson in his book ”Traditional Tunes”, it is impossible to identify this particular version of the song as originating from one specific geographical location. “The Seeds of Love”, “Let No Man Steal Your Thyme”, “Garner’s Gay” are seemingly all variants of “The Sprig of Thyme” although this would appear to be a matter still very much up for debate amongst folk song scholars today. Many argue that the differing symbolism and language utilised in ”The Seeds of Love” and “The Sprig of Thyme” sets them apart, making them distinct from one another. It is also suggested, for various reasons, that “The Seeds of Love” is a song from the male perspective whereas “The Sprig of Thyme” is from a female perspective. In the Folk Song Society Journal Vol 1 (1902) Frank Kidson, himself, writes: “The air and words of ”I Sowed the Seeds of Love” are so entangled with those of “The Sprig of Thyme” that the two ballads are often regarded as identical”. This version of the song features thyme, rue and an oak tree. In this instance it is likely that the thyme symbolises virginity and that rue is a symbol of regret. The oak tree, interestingly, appears to have been entirely edited out of the version printed in ”Traditional Tunes”. Between the 4th and 5th verse Kidson has inserted only a line of dots which appears to indicate an omission. Since becoming familiar with his workings, I am of the opinion that this is an act of censorship. Kidson genuinely seems to be disapproving of obvious sexual symbolism and it is possible that, to him, the overtly suggestive image of the oak tree was an unnecessary inclusion in the song’s narrative. In “The New Penguin Book of English Folk Songs” Steve Roud and Julia Bishop include this additional verse, taken from a very similar version of the song from a broadside printed by Forth of Hull. And let no one steal your time. So now my thyme runs on. Has changed into a running rue. And do not wither and die. That has won this heart of mine. 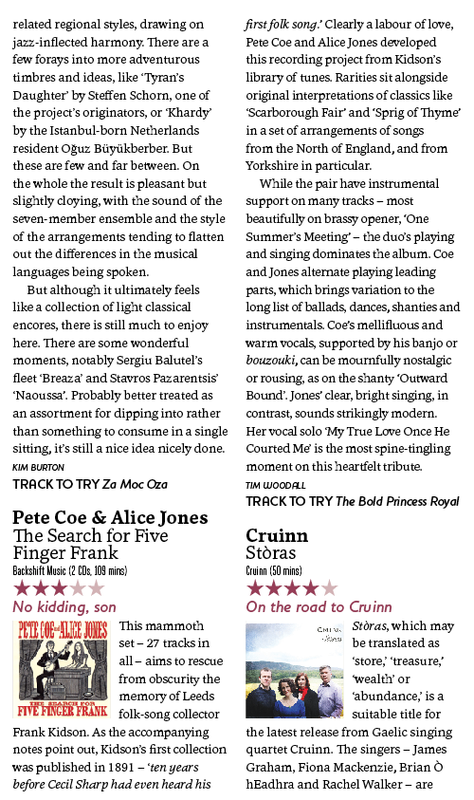 “The Sprig of Thyme” features as track 7 on disc 1 of “The Search For Five Finger Frank” by Pete Coe and Alice Jones. “The Search For Five Finger Frank” CD and the book “Traditional Tunes” by Frank Kidson are both available to purchase online. You can also buy them directly from us at one of our gigs; have a look here to see where we’re playing! Whilst reseraching the material for “The Search For Five Finger Frank” Album and Show we have drawn extensively on contributions from one of Frank Kidson’s key collaborators: Mr Charles Lolley. He first established contact in response to a series of articles by Kidson in the Leeds Mercury 1886-87 entitled “Notes on Old Tunes”. They began to correspond regularly on the subject of folk song and folk song collecting. Charles Lolley 1857-1935 was born in Hemingbrough, East Yorkshire. He was a fine fiddle player and a bricklayer by trade, later becaming a Builder’s Foreman for a building company in Leeds. Like Kidson, Charles Lolley also took inspiration from his own mother’s singing and collected a number of songs from her. Indeed, the sheer quantity of material submitted by Charles Lolley strongly indicates that he too, was a folk song collector in his own right. It appears that they struck up a firm friendship and there are many fine songs and tunes from Charles Lolley contained within the Kidson collection. 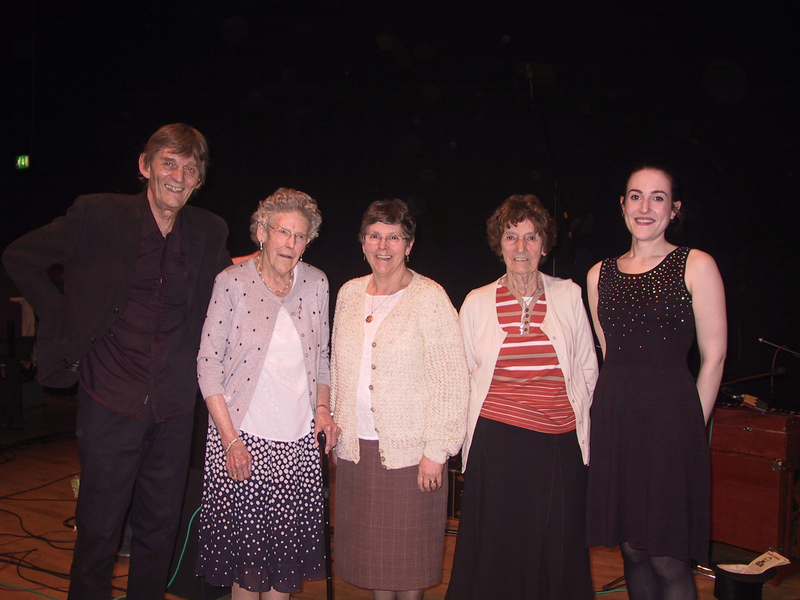 We feature many songs collected from Charles Lolley in our CD and Show: “The Search For Five Finger Frank”. Many of these songs still hold a prominent place in the folk repertoire of today: “Young Banker”, “Outward Bound” and “The Sprig of Thyme” are all examples of this. However, a number of the songs contributed by Charles Lolley also offer most unusual versions of popular classics, sometimes differing substantially from what later became the more commonly established melodies. “The Bonny Bunch of Roses”, “Captain Glen” and “My True Love Once He Courted Me” are all distinctive for their haunting melodic twists and turns. It was an absolute privilage to sing the songs that Frank Kidson collected from Charles Lolley to members of his own family. We would like to say a huge thank-you to them for coming and also to genealogist Gill Baldwin for all her time and energy spent on tracing Charles Lolley’s relations and for researching Frank Kidson and the other contributors to his collection.